Check it out! 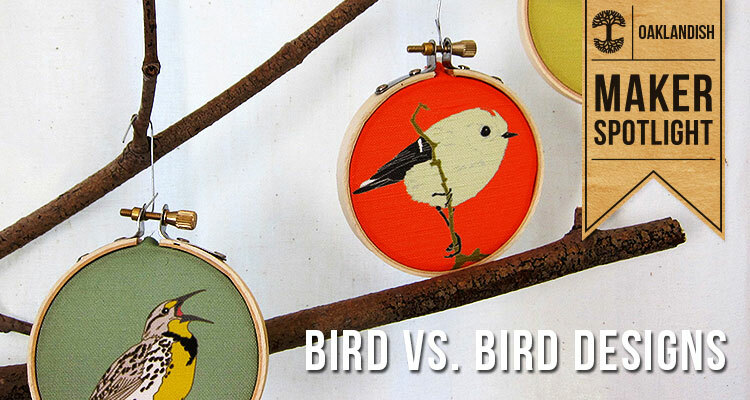 Bird vs. Bird is in the Maker Spotlight on the Oaklandish blog. http://oaklandish.com/oakblog/maker-bird-vs-bird/ In addition to cranking out awesome Oakland gear, Oaklandish is a huge supporter of local makers, and of the Oakland community. I’m proud to have my work carried in their Downtown Oakland and Dimond stores. Thanks guys!